Another successful charter season is behind us! Dear guests, first of all, we want to thank you for your trust and loyalty. We feel so lucky you've chosen our boats for your sailing holiday in Croatia and we hope we have fullfilled all your expectations. 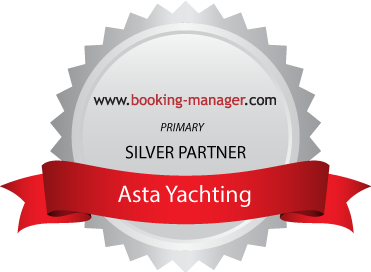 Like every year, we've worked so hard to make our name stand as a synonym for quality and reliable charter company. Home > Blog > Another successful charter season is behind us! And now, we can proudly say that another sailing season on the Adriatic has ended successfully for us. Dear guests, first of all, we want to thank you for your trust and loyalty. We feel so lucky you’ve chosen our boats for your holiday in Croatia and we hope we have fulfilled all your expectations. Like every year, we’ve worked so hard to make our name stand as a synonym for quality and reliable charter company and also wanted to make each client comfortable and welcome. We hope we have succeeded in that achievement! We also want to thank you for all your feedbacks and reviews on the social media, (feel free to visit and leave your review) and for all the recommendations you have put forward to your friends, who, after all, have proven that this season was a real success. With main goal to see happy and satisfied faces next year, we’ve already started with preparations for the next season. You can download our new 2019 price list here, in order to plan and book your sailing for the next season. Also, considering all your wishes and needs, we’ve upgraded our fleet with the most wanted boat models in our charter. So, feel free to catch wind in your sails for the next year. Brand new beautiful and spacious sailing yacht from the new Bavaria's C-Line has five cabins + salon (four double bed cabins plus one bunk bed cabin) with two toilets/showers and can accommodate up to 12 people. Spacious cockpit is designed to make pleasant the both; boat maneuvering and evening socializing. Bavaria C 45 was built to make you feel almost like at home - or even better, considering its large bathing platform which makes entry into the sea even closer and more simple. Check HERE for more details and her availability! As we already have two pieces of this type of yacht in our fleet, after revising all the comments and reviews of our satisfied clients, we’ve realized that another sailing yacht like this one would be a great supplement. Bavaria Cruiser 34 offers incredibly lot of space for a sailing yacht this size. In her 3 cabins she can accommodate 6 people, and if necessary, there is an extra bed for one person in the salon. This sailing yacht is ideal for family vacation or small group of friends exploring the beauties of Croatia. Brand new edition and the youngest of our Adriana family in the fleet, this 3-cabin motor yacht with 2 toilets and spacious salon with extra berth can accomodate up to 7 people. Easy to handle and manouvre, she is the perfect choice for your next active sailing vacation in Croatia. Comfortable for stay and relax in gorgeous hard top cockpit, also fast while driving - she is ideal for rapid shifts of your island to island destinations. It's never too late, neither too early to book your ideal boat, and now is the best time for you to grab an early booking discount and book your vacation for the next season under a favourable price. Don’t miss our excellent pre and post season offers, when Croatia is equally beautiful - with less crowds and smaller prices, but with wider boat selection. Sailing along Adriatic coast brings one special experience no matter which period and term you choose. To make your exploring and discovering of Croatian coast magnificent, we offer you quality and safe boats under affordable prices. After all, the best evaluation of quaility of our service are your happy faces.